The Voice is a television show in the Reality genre starring Christina Aguilera, Adam Levine, and Cee Lo Green. The tv show first appeared on air on 2011-04-26. 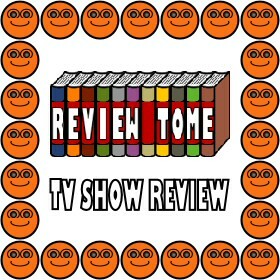 Our users found the overall impression of this television show to be Exciting. The tv show's official site can be found at www.nbcthevoice.com. The basic premise of the show is people sing with the judges "blind" to their appearance and then each judge selects a singer they like to form a team that will then be judged by America. This way people will not be eliminated based on appearances alone :). I initially thought this would be an interesting idea as I have found that in the past American Idol has eliminated many overweight or old people just based on their looks. The four judges for this show are fantastic (Celo Green, Christina Aguilera, Blake Shelton, and Maroon 5's Adam Levine.) Each judges represents a different genre and they each add their own unique spin on the panel. I found each of the judges to be quite funny and entertaining and was quite surprised that they were actually fighting hard to have each singer on their team. This was very entertaining. I also enjoyed watching the backstage elements with Alison Haislip of "Attack of the show" and the host Carson Daly was awesome as well. Overall this is a fantastic show and definitely recommended.